​The Taiwanese culture incorporates influences from various ethnic groups. The result is a blend of rich and colorful traditions which are at the same time multidimensional and unique. Come explore these fun traditions with us! 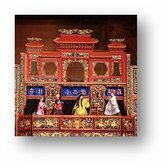 There will be a presentation of Taiwanese glove puppet show. Activities include making hacky sacs with traditional Taiwanese fabric, learning calligraphy, painting oil-paper umbrellas, and much more. Taiwanese glove puppetry, or “budaisi”, has traditionally been one of the primary forms of entertainment. After a lull, it is enjoying a renaissance. There will be three scheduled show times. Guests are also welcome to try on the glove puppets and take a closer look at the lavishly designed show stage. 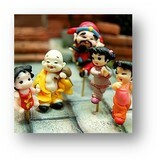 Traditional dough figurines are made with glutinous rice flour, water, and salt. They originated from pastries baked in animal shapes that are used as offerings to ancestors and deities during festivals. The art form has evolved into a popular craft. Guests will have the opportunity to make their own figurines. The Ocarina is a an ancient wind musical instrument. Variations exist, but the typical ocarina is an enclosed space with four to twelve finger holes and a mouthpiece that projects from the body. It is traditionally made with clay or ceramic and produces a beautiful tone similar to that made by woodwind instruments such as the flute. There will be demonstrations by a musician. 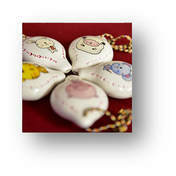 Taiwan shaped ocarinas will also be available for purchase. The calligraphic tradition of east Asia distinguishes itself from those of other cultures because it emphasizes motion. It is and art form created with the brush and ink. These tools allow the artist to create different effects depending on the width of strokes, the speed with which one wields the brush, and the amount of pressure exerted on the writing surface. Guests will receive basic instructions on this art form and create a calligraphy scroll of their own. The Taiwanese hacky sacks are made by sewing cloth scraps into bags and filling it with rice, beans, or sometimes sand. One set usually consists of three to five bags and games are played while singing traditional folk songs. 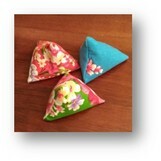 Guests will make their own from traditional Hakka fabric and learn to play games with this beloved children’s toy. 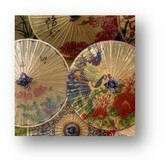 Oil-paper umbrellas have been the cultural symbol of the Hakka people in the Meinong district of Kaoshiung in Taiwan. The scaffolds are made with specially treated bamboo sticks and the oil-paper shades are characterized by the beautiful designs painted on them. Guests will create their own design with the miniature paper version.